I’ve been doing this a long time. I’ve hosted multiple websites at numerous webhosts for well over a decade. Five years ago, I discovered Siteground. Now I don’t use anyone else. And I’m telling everyone about them. Siteground offers the best shared webhosting in Australia in terms of security, speed and support. Don’t believe me? Don’t need convincing? Get 50% off today! Only $4.95 per month. 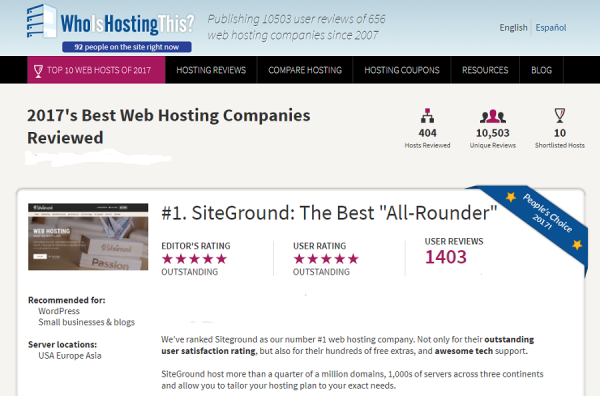 Siteground is rated the best shared webhosting available on notable review sites like WhoIsHostingThis?, a site that compiles hundreds of independent user reviews. In fact, it’s the only webhost provider to consistently score 5 stars over ten years. And it won 2017’s Best Webhosting Company again in 2017. Why do I need webhosting? An address in cyberspace (e.g. www.example.com). A “piece of turf” in cyberspace on which to build your online domain (e.g. Siteground). The software to build the website (e.g. WordPress). Ideally, you should have all three in one place for ease of management and control. However, there’s nothing wrong with having your domain registered at a registrar that’s different from your webhost provider. For instance, you might have your domain registered at Netregistry or Crazy Domains, but have your website hosted at Siteground. Siteground delivers where it matters most: online security, server speed and top-notch support. Siteground’s best-in-the-business security also offers a free SSL certificate. This alone is a deal-sealer. Aside from the extra security provided, SSL certificates are now a Google-ranking signal. Why fork out $100+ extra per annum when you can get an SSL certificate free? Siteground’s industry standard up-time model comes with a unique guarantee, and their server speed is top-notch with servers on three continents. With speed so important to both searchers and Google, you cannot afford a slow or under-performing website. With free setup and transfer, free daily backups, unlimited email accounts, excellent 24/7 support (including toll-free phone number and well-managed “live” chat), and a 30-days money back guarantee, you simply cannot get better support anywhere else. + if you already have a website, Siteground will transfer your website free of charge. An SSL Certificate provides an extra layer of security to your website and is evidenced by (a) the little green lock in the browser, and (b) the https:// protocol (instead of http://). …and your website will be https://www.example.com instead of http://www.example.com. An SSL Certificate does three things: (1) It adds extra security to your website, (2) it gives your site visitors confidence in perusing your website, and (3) it’s a ranking signal Google takes into account. Get 50% off today! Now only $4.95 per month. 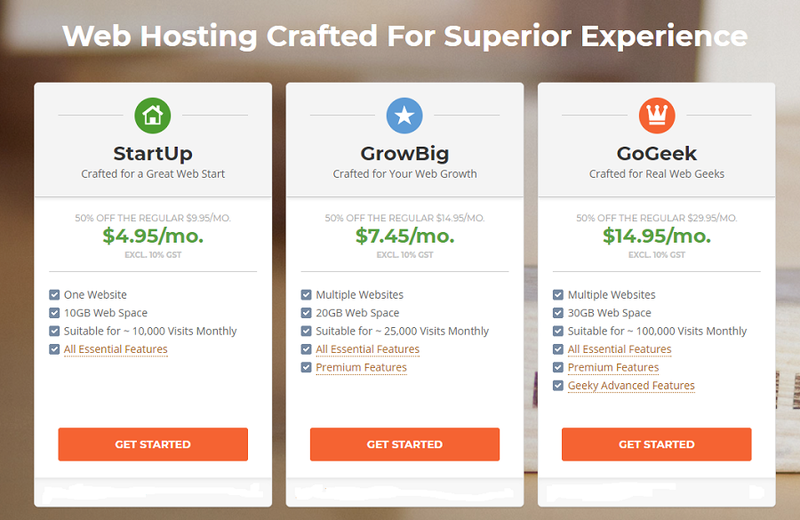 Need help securing your webhosting at Siteground? If you plan on registering more than one domain, or think you may want to host a second website, or you plan on adding an e-com component to your site, the GrowBig plan is recommended. If you don’t have a domain name yet, this is the place to create one. In this case, you will have the opportunity to transfer your domain to Siteground later (if this is what you’d like to do). 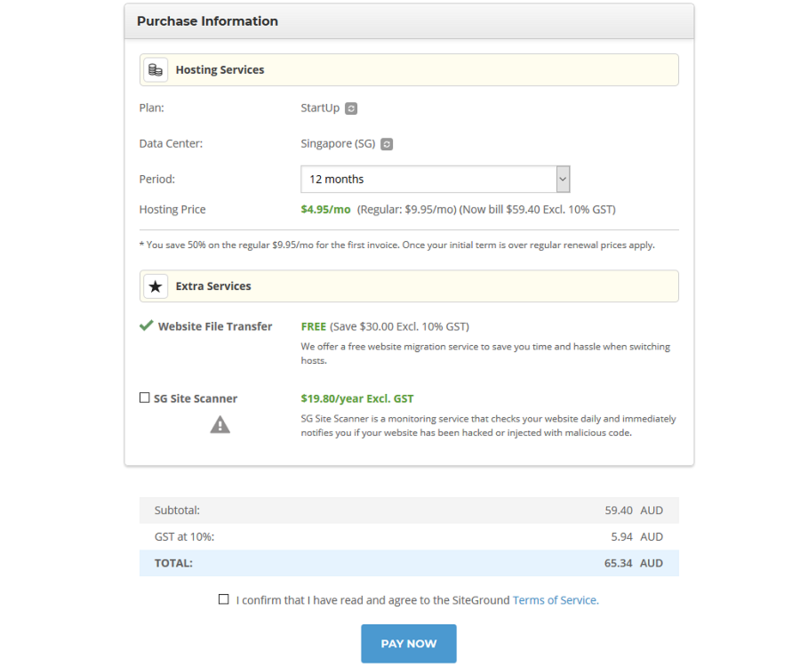 If you do transfer the domain name to Siteground, it will become your domain registrar and your webhost, which is both convenient and cost effective. If you choose not to transfer your domain name to Siteground, that’s also okay. 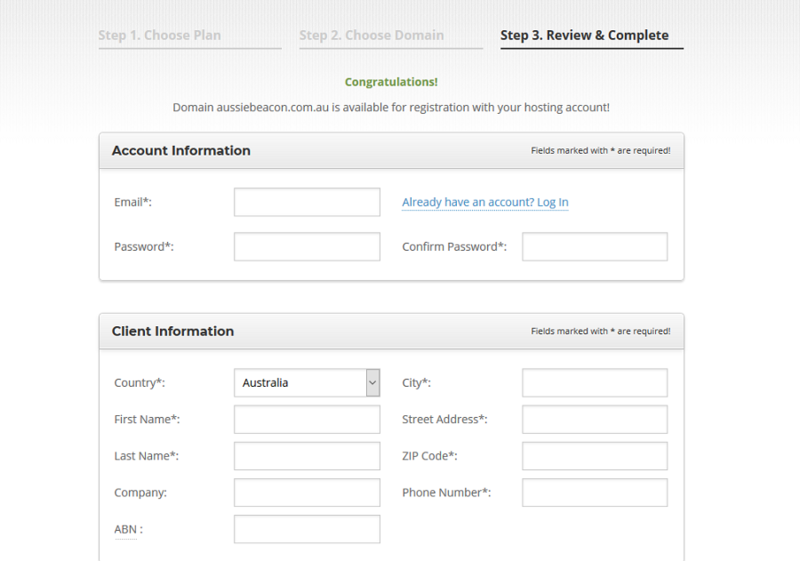 Siteground will be your webhost but not your domain registrar in this case. Siteground offers a 12-month option, unlike other webhosts that offer only 24- or 36-month contracts before you can secure the best deal. However, feel free to sign up for the longer period and save renewing the contract in a year from now. You will also see an option for extra security, the SG Site Scanner. While it is optional, we do recommend it. Bear in mind that it is an annual fee. You’ll receive notification from Siteground of your purchase and be guided through the initial setup process. If you need help, Siteground will provide it. If you know what you’re doing, you can decline the help. In the interest of full disclosure, I am a Siteground affiliate. I am only an affiliate because they’re the best in the business. If you have any questions, please get in touch. Alternatively, return home to see all we offer or compare our pricing and plans.